Imagine studying a text in class and receiving homework help straight from the author! Margaret Atwood responded to a tweet asking for some homework help. Imagine studying a text in class and receiving homework help straight from the author! 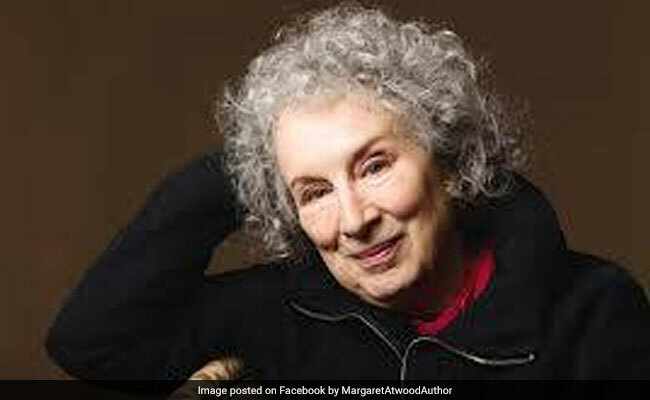 And now imagine that the author is none other than Booker Prize winner and literary superstar Margaret Atwood. That's exactly how lucky one Twitter user got when he decided to tweet the author of contemporary classics like The Handmaid's Tale and Cat's Eye for some help. A Twitter user identified online as Momchil Gavrilov tweeted to Ms Atwood early Thursday morning with the plea: "My crazy English teacher is making us write essays on #TheHandmaidsTale where we are supposed to answer why @MargaretAtwood put the theme of power and control in the book." "We do not have telepathy with @MargaretAtwood so I guess twitter is a close second... Helpppp!!!??" My crazy English teacher is making us write essays on #TheHandmaidsTale tale where we are supposed to answer why @MargaretAtwood put the theme of power and control in the book. We do not have telepathy with @MargaretAtwood so I guess twitter is a close second... Helpppp!!! The Handmaid's Tale, Ms Atwood's most famous novel - which gets simultaneously clearer and more complex with each reading - is widely accepted as a classic of our times, but far be it from a literature student to assign authorial intention, and so Ms Atwood chimed in with an answer! The prolific Twitter user responded just hours later to the tweet, defending the teacher and offering a quick crash course on the themes of her 1985 novel. "Because it's in the world. (It's not just women who are controlled in the book.. it's everyone except those at the top. Gilead is a theocratic totalitariansim, not simply a Men-have-power Women-do-not world. Lower status men are told when and who marry, eg.)" wrote Margaret Atwood. Nor does that English teacher sound so crazy. Just sayin. Though it might be the admiring use of crazy, as in "Crazy, man!" Her response, which has collected over 5,000 'likes', certainly delighted readers and fans of TheHandmaid's Tale - both the book and the TV show. We are yet so see how Momchil Gavrilov scores on his essay, for he hasn't responded to Ms Atwood yet, but he definitely has hundreds of Twitter users rooting for an A+.